Spring of Junior Year – It’s All About the Grades! 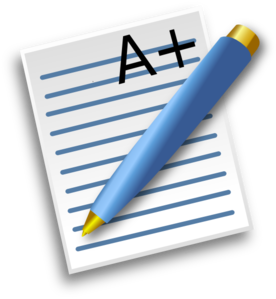 The single most important thing in the spring of junior year for your college-bound student is getting good grades. These are the latest grades that will get sent in with most college applications. College admissions officers consistently cite grades in college-prep classes, more than any other factor, as very important in the college admissions process. This would mean that they are looking at grades in science, math, english and social studies classes as an indicator of what a student has achieved and will continue to achieve in college. Does this mean that your child’s grades need to be perfect? Not necessarily. A lot depends on the type of college he or she is intending to attend. Does Your Student Need Perfect High School Grades? If your student is aiming for the Ivy League or other colleges in the “most competitive” category, straight As are usually expected. These schools have very low acceptance rates and will be looking to weed out students based on many factors, but grades will be an easy one. Most colleges will be looking for an upwards progression in grades over the high school years. So maybe your student struggled a little in core classes freshman and sophomore years. As long as your student shows grade improvement from year to year, there isn’t anything to worry about. Additionally, special circumstances are not cause for alarm and should be explained in the college application. Did your child have a particularly bad semester due to illness or personal issues? Make sure this gets documented on his or her college applications. Although a college would rather see an “A” than a “B,” a “B” in an honors or AP course often carries more weight (both literally and figuratively), than an “A” in a non-honors course. Selective colleges want to see that a student took the most challenging courses offered at his or her school. The only time it makes sense not to enroll in the most challenging course that he or she is eligible for is if your student knows it will be a struggle and has a history of lower grades in that subject. As harsh as it sounds, Ivy League college admissions are probably not likely for a student with a B average. If your student has a B or C average does that mean all college admissions will be a failure? No. Your student should target colleges that have a history of accepting students with his or her GPA. How do you find this information? Two places – college search engines and college websites. On a college website, you can usually find a page that gives admitted student statistics. This is often on a Fast Facts page or somewhere in the Admissions area of the website. Colleges most often list the GPA range for the middle 50% of admitted applicants. This means that only 25% of students admitted have GPAs below this, but an additional 25% of admitted students have GPAs above this. If your student falls in the middle 50% or above, it is not a guarantee of admission, but is encouraging enough to continue to investigate the school. If your student falls below the middle 50%, it is probably a sign to look elsewhere, but if your student really has his or her heart set on the school, you could consider it a “reach” school. Just be sure your student is prepared for potential rejection. College search engines like CollegeData are good for finding this GPA information easily for multiple schools. CollegeData shows both weighted and unweighted GPA for recently admitted students. So when your student is in the junior year of high school, keep encouraging him or her to focus on the grades above everything else. It will increase chances for both college admissions and merit scholarships.